Luxury houses for sale, Sierra Blanca, Golden Mile, Marbella Luxury attached villas focusing on Location, Quality and Design. Located on the Golden Mile, the high end residential area of Marbella. These homes offer all the comforts of a large villa, with the latest installations, the best qualities throughout and stunning views. Each attached villa has a private garden, plus the communal areas decorated with fountains. Update: resale. Stunning south facing corner house with sea view. 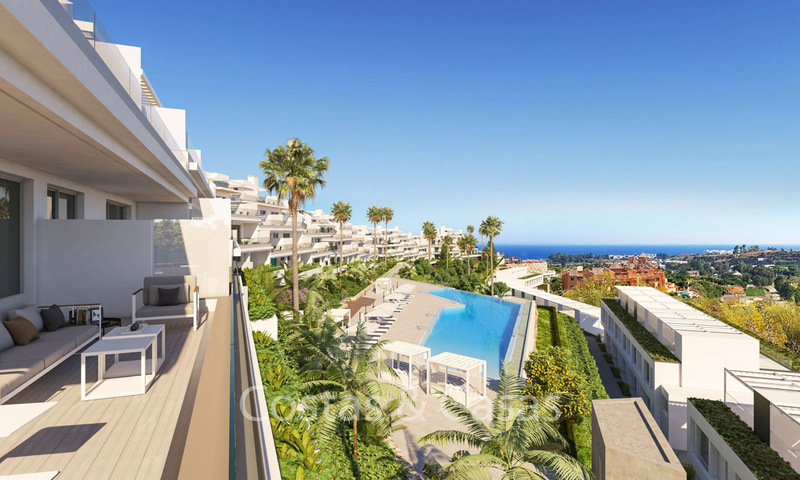 Beachfront townhouse for sale - Golden Mile - Marbella - Puerto Banus Completely renovated trendy townhouse for sale in a frontline beach complex between Marbella centre and Puerto Banus. 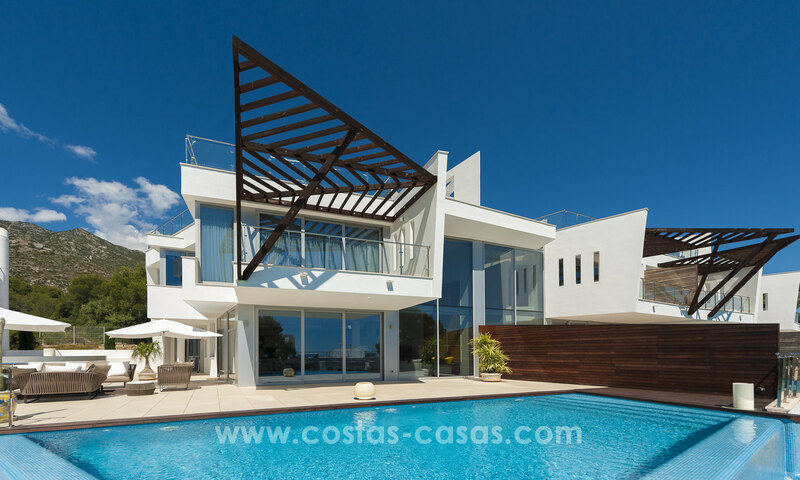 Walking distance to Puerto Banus and several beach restaurants. 2nd line beach house with good sea view. 3 bedrooms, 3 bathrooms, guest toilet Roof terrace with Jacuzzi, covered terrace and 50m2 private garden. Open plan kitchen Electric curtains and blinds Large communal pool and gardens. Totally renovated 4 bedroom townhouse for sale by the beach, in San Pedro - Marbella Charming gated little community of townhouses situated first line beach, between 2 popular beach Clubs. The property is in a very central location being close to the local and International schools, the health centre, local park, town, market, and beaches. Excellent rental potential! 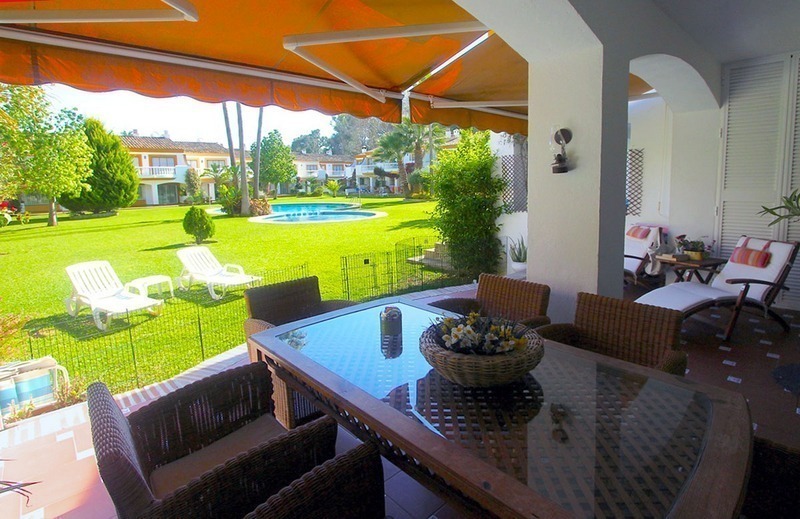 Townhouse for sale on the Golden Mile in Marbella Centrally located in a well maintained gated complex of townhouses with a communal garden and swimming pool and 24 hours security in the area, on the Golden Mile that connects Marbella centre with Puerto Banus. Only a few minutes away from Marbella centre, Puerto Banus, all amenities and the beach. South facing. Best hours of sun. Good views of the garden, sea and mountain from the upstairs floor. 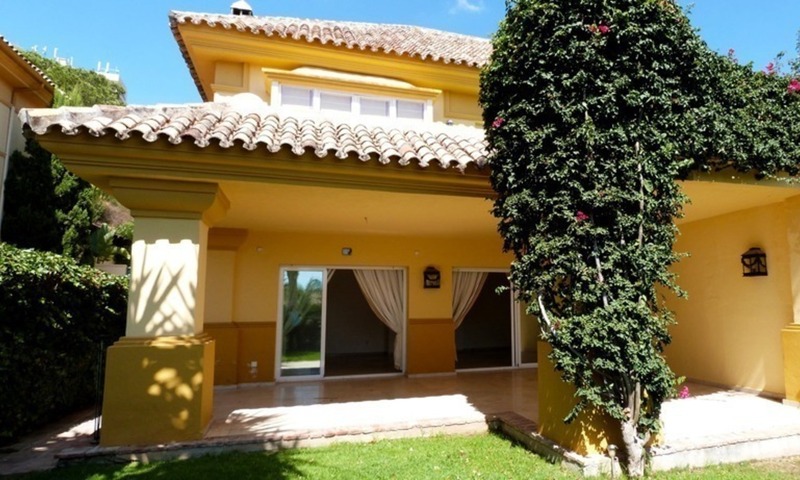 For Sale: Cosy Frontline Golf Townhouse in La Quinta – Marbella This property forms part of small residential complex of semi-detached houses within a luxury gated estate of La Quinta – Marbella. The estate boasts a golf course, gourmet shop, restaurant, spa, clubhouse and a five-star hotel. The townhouse enjoys views over the gardens, the Mediterranean Sea, the La Concha Mountain and the fairways. This is a corner unit that comes with a nice private garden and a roof terrace. 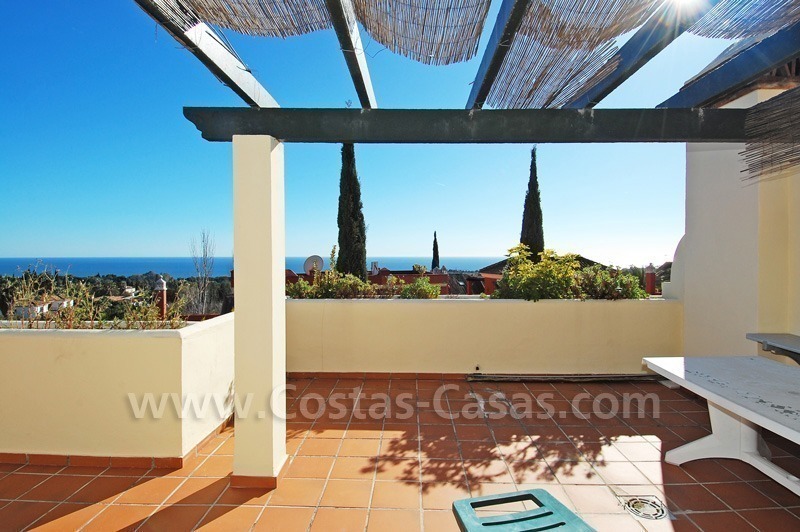 Corner townhouse for sale in the area of Marbella - Benahavis. Reduced in price for quick sale! Southfacing large terrace with spectacular views to golfcourse, see and Strait of Gibraltar. Popular community with 24h. security and 2 communal swimming pools. 3 bedrooms en suite. Large sunny courtyard terrace with bbq. Large lounge-dining room with vaulted ceiling and open fire place.